Seago’s 260 SL inflatable dinghy is a sleek, light weight tender that can comfortably fit three people. Made from 1100 Decitex 700g PVC, the dinghy offers optimum strength whilst keeping weight down. 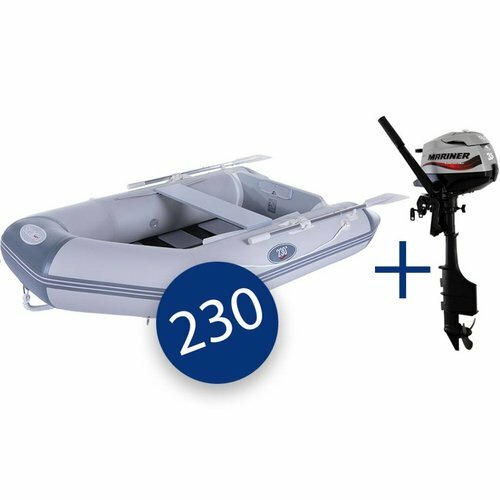 Read more..
Seago’s 260 SL inflatable dinghy is a sleek, light weight tender that can comfortably fit three people. 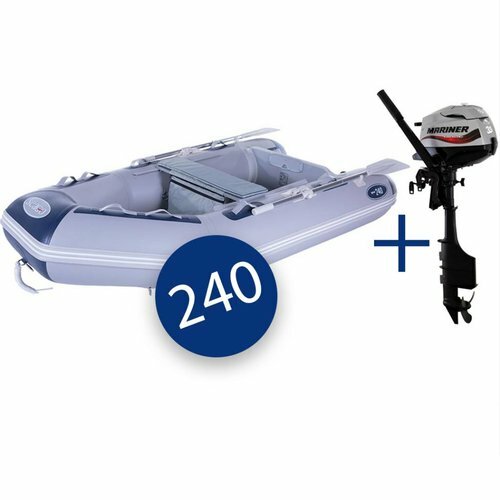 Made from 1100 Decitex 700g PVC, the dinghy offers optimum strength whilst keeping weight down. On the exterior of the inflatable tender you’ll find two rope grab lines, which can be used to hold onto whilst traveling, in a man overboard situation or whilst transporting the 260 SL dinghy from location to location. Two aluminium oars also come as standard which is fantastic if you do not wish to use an outboard engine. Moving to the interior, the inflatable tender has a wooden slatted floor and a 900mm seat. 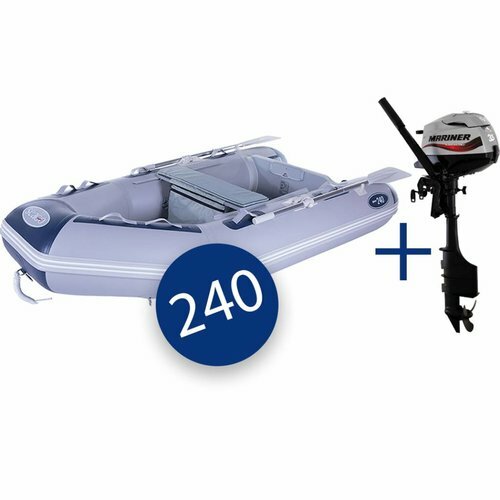 The seat is adjustable so if you do wish to use an outboard engine instead of the aluminium oars, you are still able to sit in the best position.A foot pump is also included. (L x W) – 2600mm x 1420mm. - Overhead design for direct and optimum power. - Largest displacement in 2.5hp outboard class. - 18% more displacement than direct competitors. - Offers even more torque at same weight. - Long Tiller Handle With Twist Throttle. - Easy to adjust steering friction. - 32% less vibration than comparable Honda engines. - 10% less vibration than comparable Yamaha engines. - Improved customer comfort and control due to minimised vibration. - 1 Litre Integral Fuel Tank. - One piece block design and underwater exhaust for incredibly quiet operation. - Fuel requirement: Unleaded 90 RON min.